Fabulous gift to say, ''we are thinking of you''. 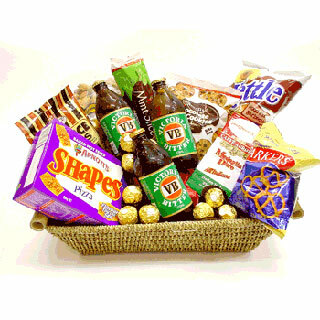 A hamper brimming with treats for the Aussie male. Includes chips, nuts, other snacks and local beer (where permitted).